The cabinet for the world's best-selling tube amp, bar none. The Fender Hot Rod Deluxe 112 is a guitar speaker cabinet that features a 12" Celestion G12P-80 speaker for all-around use with a variety of combo amps. It fits neatly under the Hot Rod Deluxe and Blues Deluxe combos, adding bass response and thump, apparent volume and stage coverage.Enclosure rated at 8 ohms and 80 watts RMS. 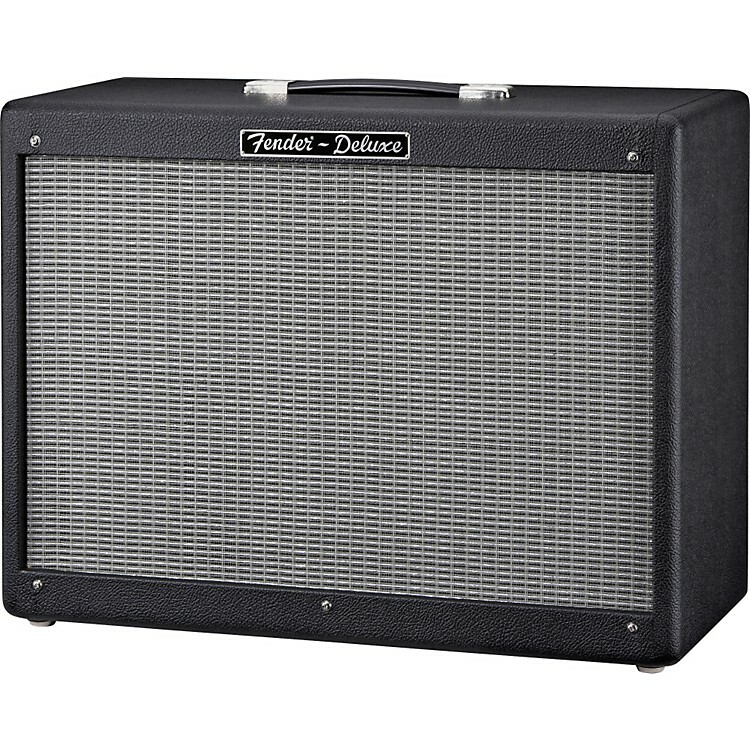 Speaker cable and fitted cover included.From its conception on through to today, countless guitarists have chosen the Fender Hot Rod Deluxe as their go-to amp, and it has proven equally popular among rock, country, punk, pop, blues and jazz players.